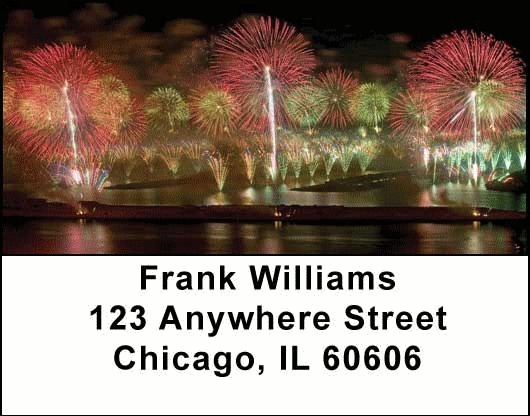 Fireworks Address labels feature four shots of the night sky exploding with light and color to amaze and awe individuals celebrating various holidays and events. The ancient Chinese used fireworks during festivals to scare away evil spirits and in battle to frighten their enemies. The origin of these pyrotechnic displays is shrouded in smoke, much like the sky after a display, but the Chinese origin story is widespread. Show your patriotism with these Fireworks Address labels that are self adhesive. Matching checks are also available.